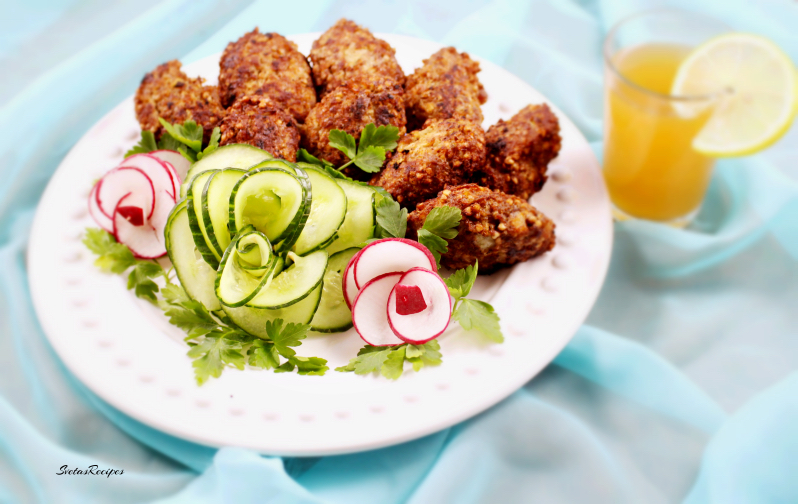 Buckwheat meatballs are national Ukrainian dishes they are served in almost all homes. I particularly liked how crunchy and tender they where. It was almost like a dream, my kids also enjoyed this recipe! This recipe includes grounded pork, fresh eggs, onions and much more. 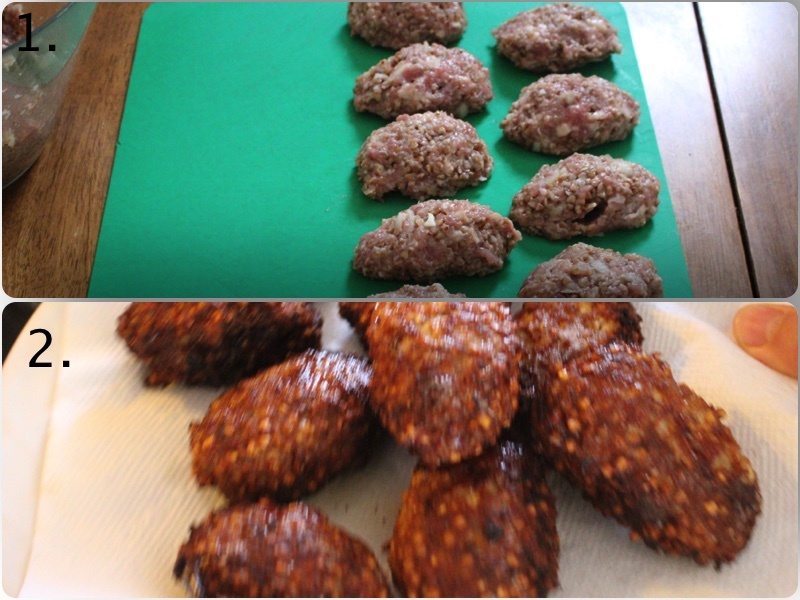 These meatballs are also very similar to Ukrainian Katleti. Enjoy this recipe! 1.) Cook your buck wheat porridge, I have a recipe for it Click Here For The Buck Wheat Porridge Recipe . 2.) Place your meat into a small bowl. Add your Buck Wheat Porridge, shredded onions and 2 fresh eggs. 3.) 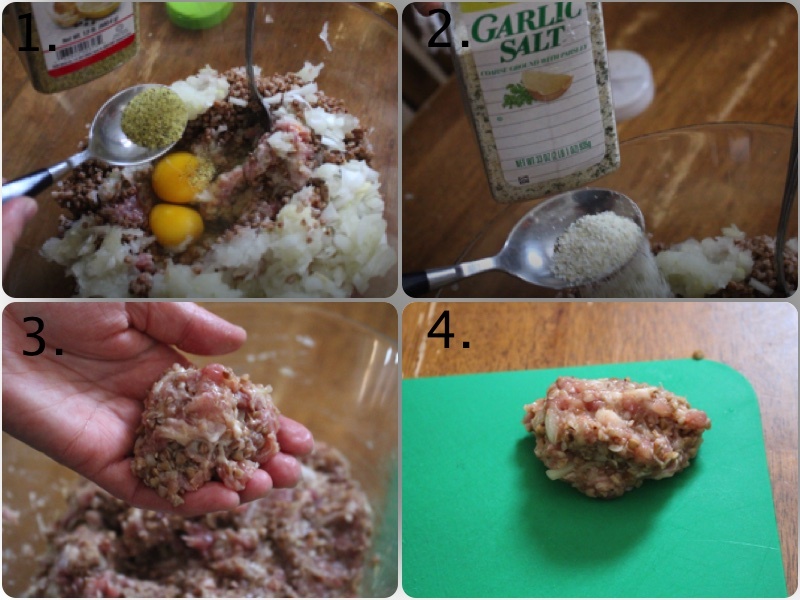 For seasoning add garlic salt and lemon pepper + mix the components together into a mixture. With your hands shape a small circle and place it on a tray. 4.) Add your meatballs to a hot oiled skillet, fry for 5 minutes on each side (Total Of 10). Once it is done let it cool off and drain on a paper towel. 5.) Place on a serving dish and enjoy! Cook your buck wheat porridge, I have a recipe for it Click Here For The Buck Wheat Porridge Recipe . Place your meat into a small bowl. 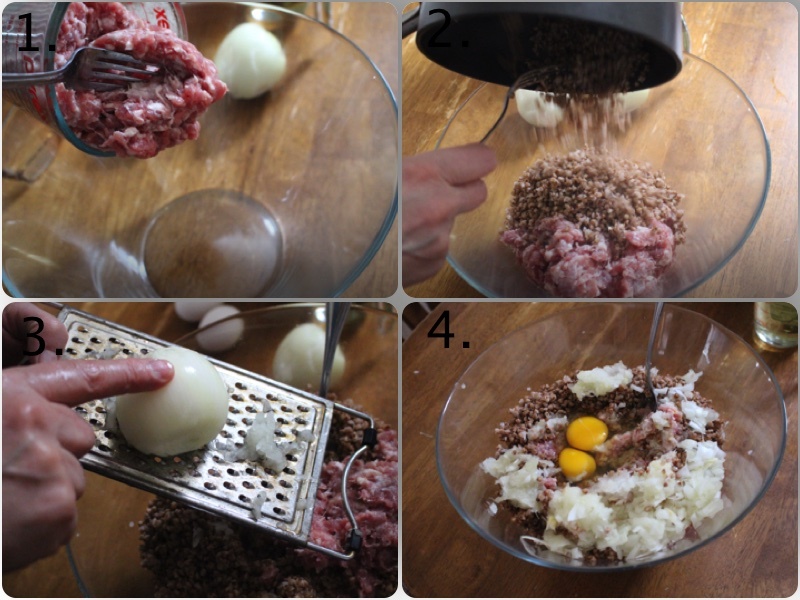 Add your Buck Wheat Porridge, shredded onions and 2 fresh eggs. 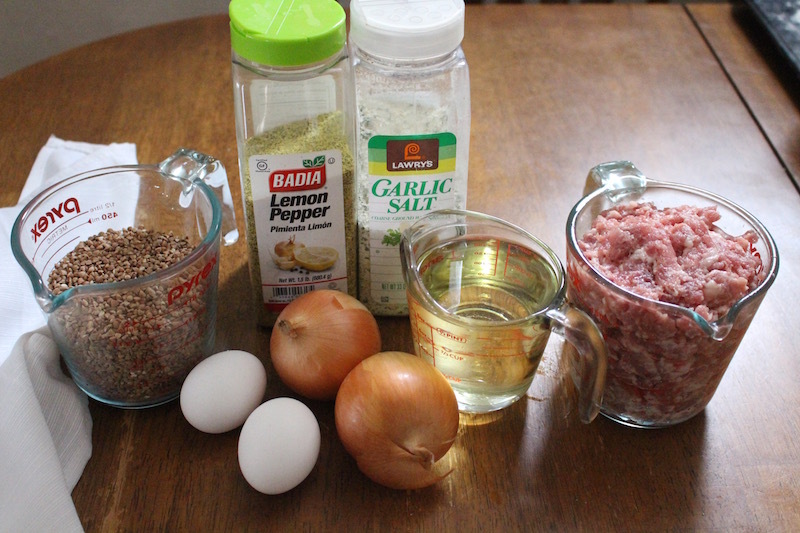 Add your meatballs to a hot oiled skillet, fry for 5 minutes on each side (Total Of 10). Once it is done let it cool off and drain on a paper towel.